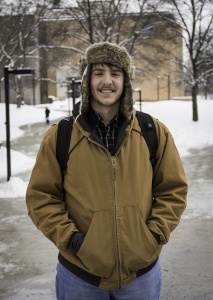 The freezing temperatures in Ohio make it difficult for students to choose an outfit for class. Some people attempt to stay warm by bundling themselves in coats and layers of clothes, and some still choose to wear stylish outfits. 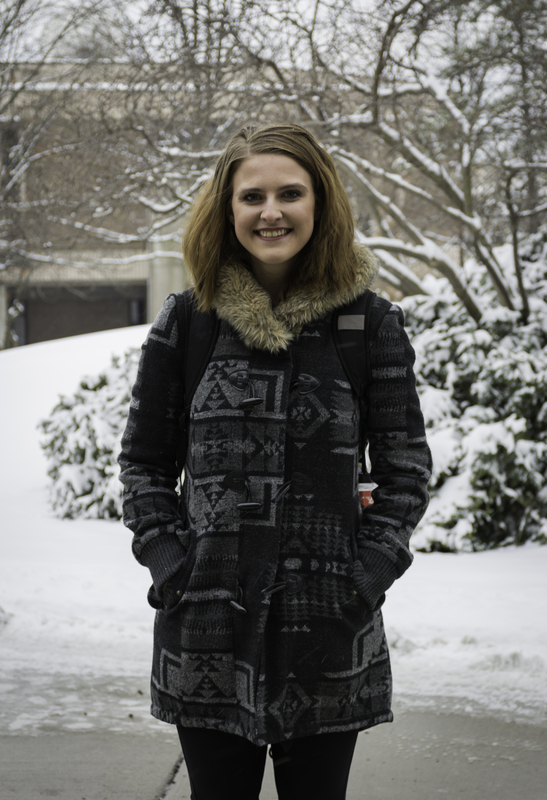 Courtney Weimer, a sophomore majoring in merchandising: fashion and interiors, said it’s important to layer clothes in the winter. She said she began to wear faux fur coats this winter. “I’ve noticed that you can really wear a fur coat with just about anything. I’ve worn it with my most well-thought out and fancy outfits, all the way down to my sweat suits,” she said. Weimer said people should invest in a warm coat. 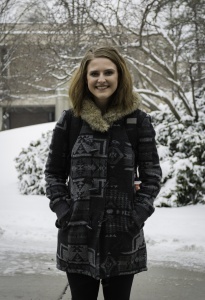 Madalyn Baker, a sophomore also majoring in merchandising: fashion and interiors, said she also enjoys wearing faux fur coats throughout the winter. Alexis Marucci, a senior marketing major, said she has been a big fan of shoes since she was in high school and owns more than 50 pairs of shoes. She said she decides her shoes before deciding her outfit. She also said she cares about fashion more than the weather. “My feet will just freeze … I don’t really care. I try to be as fashionable as possible,” Marucci said. 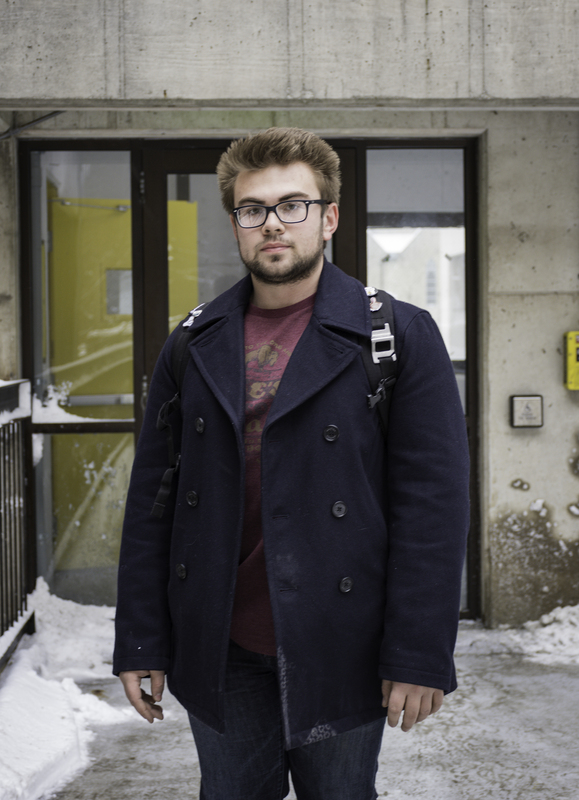 Tom Foley, a junior marketing and sales major, said he tries to look well qualified when he meets someone professional. He said looking professional gives potential employers a good impression and people are not used to wearing a suit and tie, but some have to get used to it. He said he tries to wear something nice when he goes out; however, he likes to wear sweatpants when going to class because they are comfortable. Amy Crawford, acting chair of the communication department, said she has planned her outfits for work a week in advance for the past 15 years. She said she wears nice clothing when she needs a boost. “[Fashion] can impact my mood … It impacts the way that I feel and my energy,” Crawford said.